So your SEO firm has done its job and got you ranking. Now searchers are clicking through to your site. But will they be happy with what they find there? Answer these 7 questions to find out if your visitors are likely to become customers. Does your page display unity? Your page should express one big idea clearly. This idea should start in the headline and be echoed throughout the page. Unity creates focus which leads to action. Does your visitor know within seconds where he is and what he’s going to get? Your visitor shouldn’t need to scroll around to find the point of your page. He should know immediately what’s his reward for sticking around. Your headline should continue the promise that drew him to your site, and the lead should pull him into your message. Does he know who you are immediately? Is your tag-line clearly marked out? You need to make sure that your identify and your mission are spelt out clearly in your header. Think of it as your elevator pitch made up of you value proposition and your USP. Does you site scan well? Can your visitor glance down your page and get a quick overview of what’s available? Judicious subheads, focused bullet points, summaries and tasteful use of fonts can encapsulate your page’s meaning and help your visitor quickly decide if it’s for him. Does your user get a good ‘experience’? Remember your visitor has clicked through in search of a benefit you promised in your article box, meta tags or PPC ad. He should be able to find it without the help of pop ups and flashing banner ads. Let your content do its work unencumbered by distractions. Is your Call to Action (CTA) clear? What’s your MWR (most wanted response)? Do you want your visitor to sign up for a newsletter, click on an adsense ad, click through to a sales page, or order a product or service? Your page should be structured to make that happen. Does your site scream ‘authority’? Other than tasteful design, this involves not overdoing the ads, having the proper ‘legal’ pages prominently shown in your menu, and some glowing testimonials. It’s also a good idea to include your full contact details in the footer or sidebar. Your photo helps, too. People like to know who they’re dealing with. 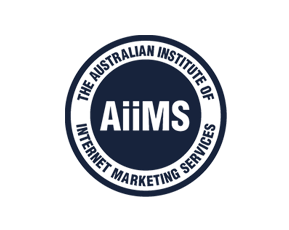 As an Australian SEO firm, I’m sure you’re aware that nothing can really guarantee any website will be a success. So many factors play a part. But if you can answer yes to the above questions you’ll have gone a long way towards creating a satisfying online experience. Without that, your visitors will just click away in search of greener pastures. This entry was posted in SEO Tips, Web Design and tagged Call to action, Landing Page, web design. Bookmark the permalink.